Ex. 1.3.1 Reading On these worksheets: basic-words-and-phrases there are some basic words and phrases for meeting, greeting, and leaving people. Translate them into your first language and learn them. Ex. 1.3.3 Reading The Dolch Basic Sight Vocabulary is a list of 220 words that appear frequently in written English. 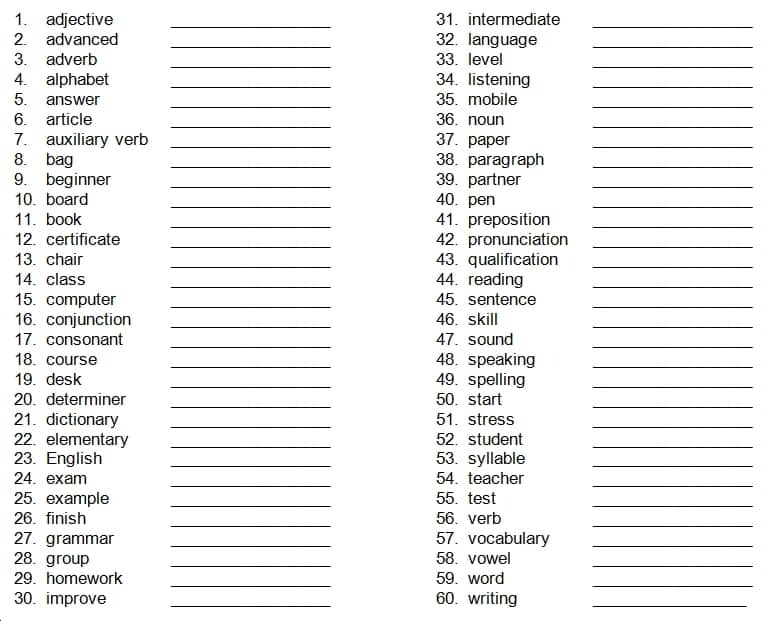 By learning this list students will gain a good foundation for developing their reading skills. Read the list on this page: dolch-basic-sight-vocabulary-handout, translate them into your first language, and learn them.